TREATY - Romanian President Klaus Iohannis has said that the French-German Cooperation and Integration Treaty in Aachen mirrors the commitment of France and Germany to consolidate the European project. According to President Iohannis Romania will continue to be close to the two countries in their efforts to reach this goal. Attending the ceremony in Aachen, along President Iohannis, who represents the country holding the six-month presidency of the Council of the EU, were European Council President Donald Tusk and the European Commission President Jean-Claude Juncker. The Aachen Treaty is based, from a political and juridical point of view, on the Elysee French-German Treaty of 1963 that set the basis for a historic reconciliation between Germany and France. The Aachen Treaty is aimed at adjusting the relations between the two states to the challenges of the 21st century, laying emphasis on the cohesion of the two countries’ action at European level. EUROPEAN AGENDA - Romanian PM Viorica Dăncilă will pay a two day working visit to Brussels as of Wednesday to present the priorities of the Romanian Presidency of the Council of the European Union, in a plenary session of the European Economic and Social Committee, due on Thursday. According to a communiqué issued by the Romanian Government, the Romanian PM will have a bilateral meeting with the NATO Secretary General, Jens Stoltenberg, to assess the main points on the agenda of the Alliance, laying emphasis on the issues of interest for Romania and on Bucharest's contribution to the implementation of the allied policies and decisions. The agenda of the visit also includes the participation in the official ceremony devoted to the International Holocaust Remembrance Day, organised by the European Jewish Congress, under the patronage of the President of the European Parliament, Antonio Tajani. Viorica Dancila will also meet with the President of the European Economic and Social Committee, Luca Jahier, and will attend a meeting of the European Socialists. Alongside high European officials and members of the Romanian Government, Viorica Dancila will attend the opening of a photo exhibition and a concert devoted to the start of the Romanian Presidency of the Council of the European Union. ECOFIN – The Romanian Finance Minister, Eugen Teodorovici, chaired in Brussels on Tuesday, the first meeting of the Economic and Financial Affairs Council (ECOFIN) during the mandate of the Romanian Presidency of the Council of the EU. The European line ministers discussed, among other things, about a prospective programme on supporting investment, innovation and job creation in the EU. Teodorovici expressed confidence that the EU investment program will continue and will have the capacity to support investment and innovation in the member states and most importantly to help those geographic regions and sectors that haven’t from sufficient strategic European funds so far. The EU Finance Ministers have also discussed a number of important packages, such as the Economic and Monetary Union, the capital markets as well as the modernization of the VAT system. BRUSSELS - Most of the Romanian Government’s ministers are in Brussels until Wednesday to present the agenda and priorities of the Romanian presidency of the Council of the EU before expert committees of the European Parliament. On Tuesday, the Education Minister Ecaterina Andronescu took the floor and said that the Erasmul Plus Program, that on early education and the high quality care of small children as well as that on foreign language teaching are the three files that Romania has to manage in the field of education, during its 6 month tenure, at the helm of the Council of the European Union. Also on Tuesday, Agriculture Minister Petre Daea said before the Committee on Environment, Public Health and Food Safety with the EP that the Romanian Presidency will be oriented towards citizens and will pay special heed for the EU policies to be permanently based on the principle of cohesion between the Member States.  FLU – Romanian medical authorities have warned that immunization is the most effective protection measure against the flu virus, given that the country is facing a flu epidemic. The number of deaths cased by the flu this winter stands at 28. Children are the most affected by the disease. Daily triages have been recommended in schools and kindergartens. BREXIT – British PM Theresa May on Monday set out her Brexit plan B to MPs, which she was obliged to do under the EU Withdrawal Act after the defeat of her plan in the House of Commons last week. A change to her initial deal is that the government has scrapped the £65 (€73.69) fee EU citizens were going to pay to secure the right to continue living in the UK after Brexit. Once again, the British prime minister vowed to find a solution to the Irish backstop, which she said was the key issue blocking her deal going through. May once again rejected calls for a second referendum. May's deal will now be debated in Parliament on January 29. A vote is expected the same day. The prime minister will then take the conclusions back to the EU. The UK is scheduled to leave the EU on Friday, March 29, 2019, at 11 pm UK time. ACADEMY AWARDS NOMINATIONS – The Academy Awards nominations were announced on Tuesday. “Best Picture” nominations include such films as “Black Panther”, “BlacKkKlansman”, “Bohemian Rhapsody”, “The Favourite”, “Green Book”, “Roma”, “A Star Is Born” and “Vice”. The films “Capernaum” (Lebanon), “Cold War” (Poland), “Roma” (Mexico), “Never Look Away” (Germany) and “Shoplifter” (Japan) have got nominations for “Best Foreign Language Film”. Running for an Oscar for best actor in a leading role will be Christian Bale (“Vice), Bradley Cooper (“A Star Is Born”), Willem Dafoe (“At Eternity’s Gate”), Rami Malek (“Bohemian Rhapsody”), Viggo Mortensen (“Green Book”), whereas Yalitza Aparicio (“Roma”), Glenn Close (“The Wife”), Olivia Colman (“The Favourite”), Lady Gaga (“A Star Is Born”), Melissa McCarthy (“Can You Ever Forgive Me?”) have got nominations for best actress in a leading role. The 91st Academy Awards are scheduled for Sunday, Feb. 24 in Los Angeles.